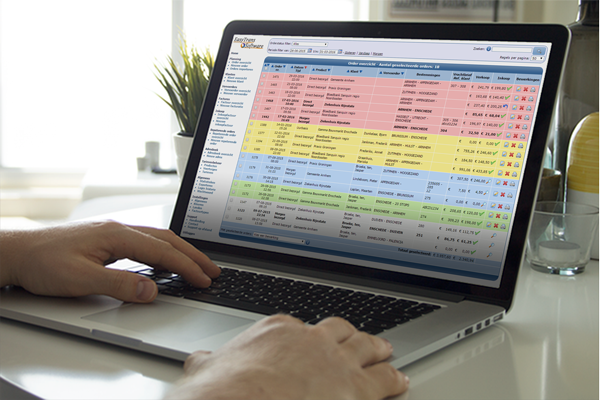 Ideal for courier, transport & distribution companies, it is a cloud-based TMS solution that allows users to centralize invoicing and payments via customer, carrier, & drivers portals & applications. 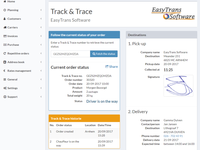 We were looking for an uncomplicated solution that would grow with us - EasyTrans delivers! Pros: Very easy to set up and start using right away, the guided demo really helped and we were able to trial it for a month to really get used to it with the help of the support team. It's web based so we don't have to worry about more computer equipment or maintenance costs. You can start with a small user system and then upgrade or simply add features as you need them - Covers all you need from single vehicle to multi vehicles and we use the "Drivers App" feature to receive POD's and send details to drivers. 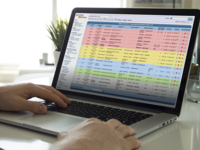 We can also take care of the invoicing in it so no more late Friday nights or lost weekends! Cons: The initial colour scheme might not suit everyone, but you can change that very easily and the software company are very open to actually speaking to you and listening to what you need. Probably won't suit larger companies with fleets of trucks that need to be scheduled days in advance or monitor drivers hours. But EasyTrans tell me that there are plans to add lots more features in the future - So who knows! Pros: No more paperwork with the Driver App. Very easy to use the software. 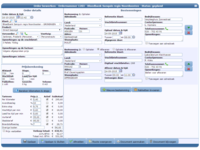 Automatic price calculation makes it very easy to send a quote. 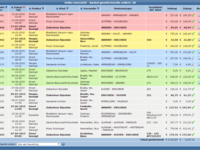 Customers can place their orders and track the status of their orders through the web portal. This saves the planning a lot of time. Of course there is always room for improvement, but the team is eager to pick this up. Pros: It works as it's supposed to. Easy to use on any platform or device. It is a fantastic product and is easy to use and customise. Cons: If you have no internet access, then you could have an issue. However, nearly all apps require internet access. 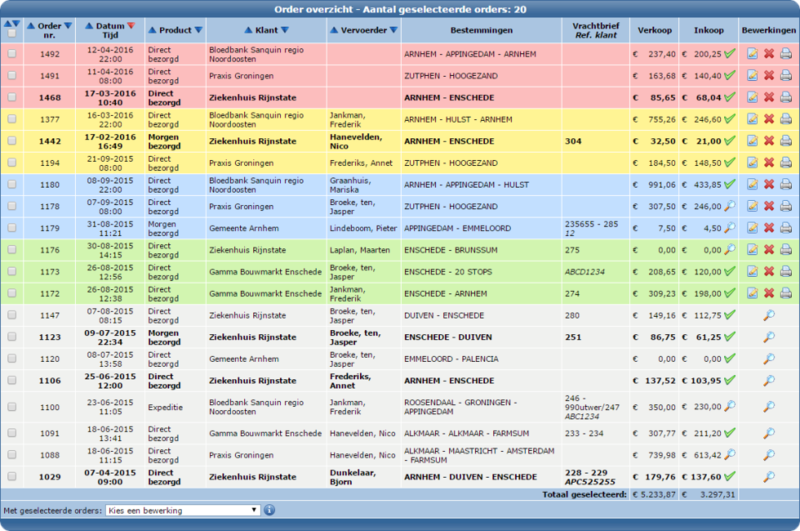 Overall: Makes my job extremely easy for quoting, pricing & invoicing. Also makes driver integration easy. 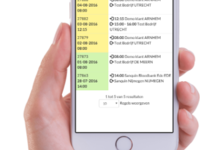 A real timesaver for logistic processes. Pros: No more paper documents. 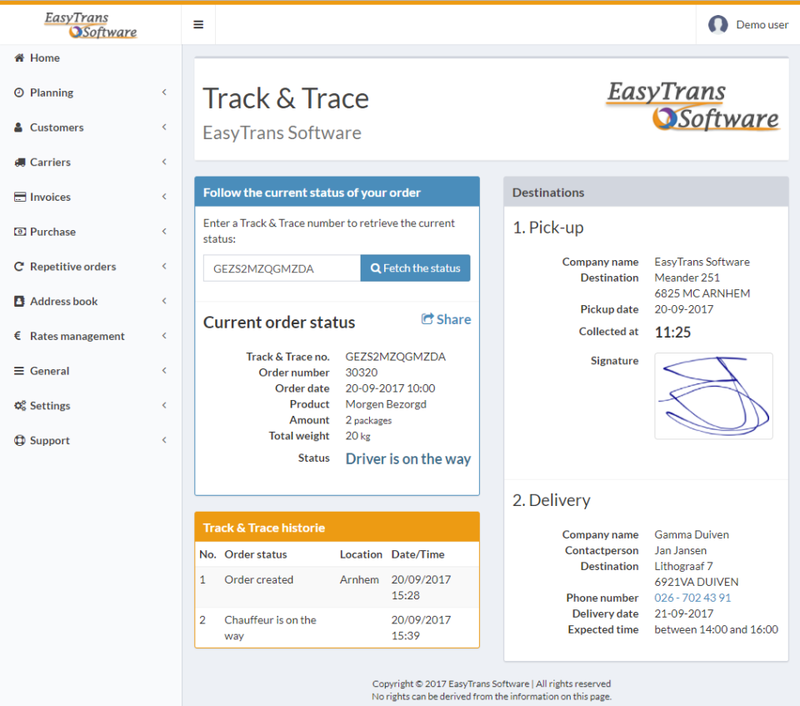 Order entry and Track & Trace through the customer portal is a real plus for our customers. 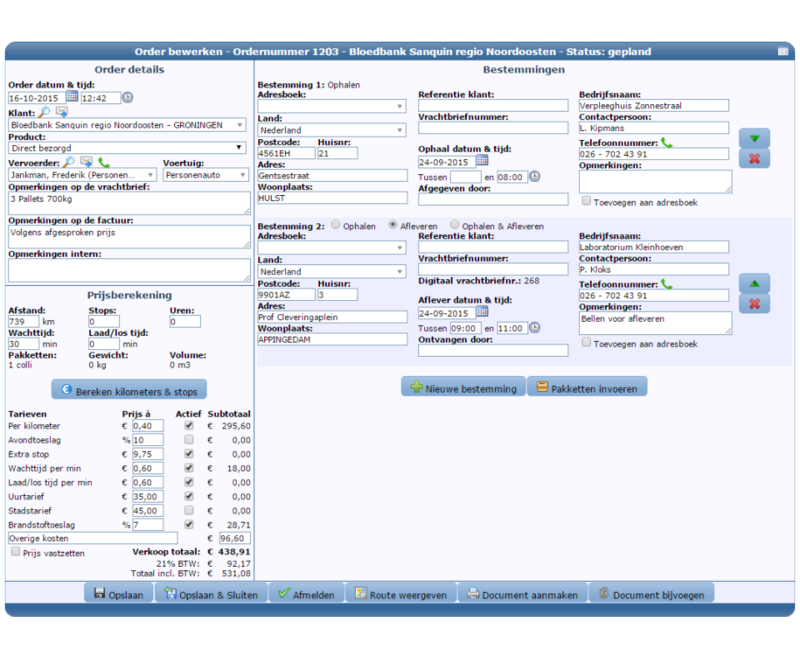 Cons: Interfaces with some accounting packages are still missing, but is possible to request a specific connection.